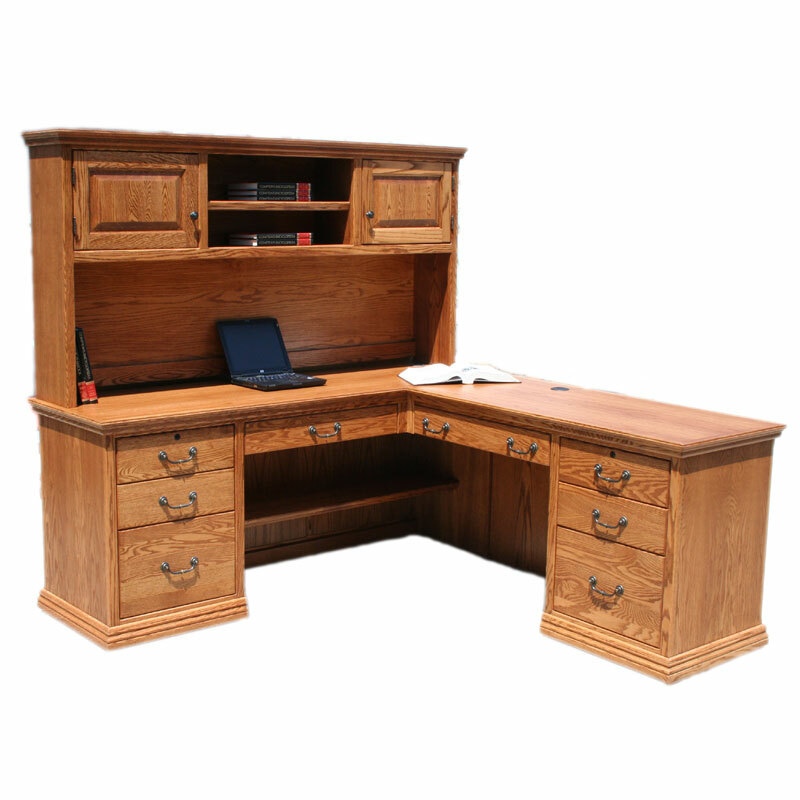 Oak Traditional Desk and Return with Hutch. 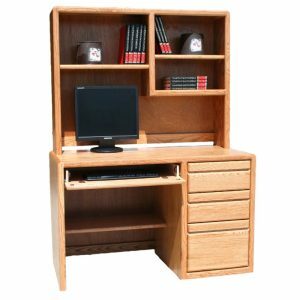 The Traditional Desk and Return with 4 Utility Drawers, 2 Letter/Legal File Drawers, 1 Pencil Drawer, and 1 Drop-Down Keyboard features English Dove-tail Drawers and Full-Extension Slides, Interchangeable Pencil and Drop-Down Keyboard, and Finished Backing All Around. 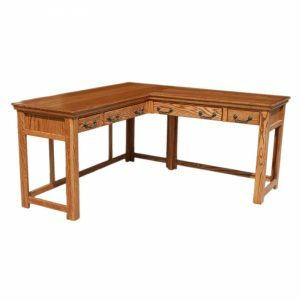 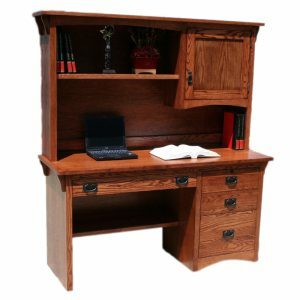 The Traditional Desk and Return Hutch with 2 Raised-Panel Doors has 3 Adjustable Shelves.